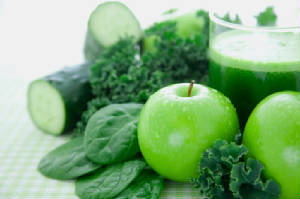 Fasting and detoxifying your body from toxins found in today’s world is the right thing to do. There are very valid reasons for fasting and detoxifying your body. There are also many benefits. 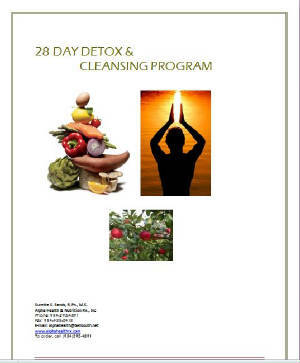 By fasting and detoxifying your system, you can rid your body of toxins that the body has encountered. There is also Spiritual Power in fasting. Fasting promotes a closer walk with the Creator and helps control the lower nature. We live in a toxic world. Many diseases are caused from a build up of toxins in our environment. Some common symptoms of toxin build up are: fatigue, memory loss, premature aging, skin disorders, arthritis, heart disease and hormone imbalance. There are also dangers in solvents found in cleaning products everywhere. We also have to rage a war against the Free Radicals in our environment. The good news is that we can prevent chronic illness and poor health due to toxicity. Because of the pesticides usually found in animal feed, our meat supply ends up with pesticides too. Pesticides accumulate in the fatty tissues of the animals we eat: steak, hamburger, sausages, bacon and butter. Try to buy organic products as much as possible and wash fruit and vegetables completely. Reference: Don Colbert, MD, Get Healthy Through Detox and Fasting(Lake Mary, FL: Siloam, 2006). Without a healthy, well-functioning liver and healthy intestinal tract your body will continue to be under a burden of toxins. Health Tip: With a special diet to get your liver and GI tract in shape and the juice fast along with lifestyle changes you can cleanse your body. Cleansing right down to the cellular level will renew vitality and restore energy. Prayer: Dear Lord I will no longer use my willpower alone to control my eating instead I will use your power infused in with my willpower through the Holy Spirit. I will crucify the flesh daily. Think about the physical and spiritual reasons for your fast and write a statement about why you are beginning the 28-day program and what you hope to accomplish.